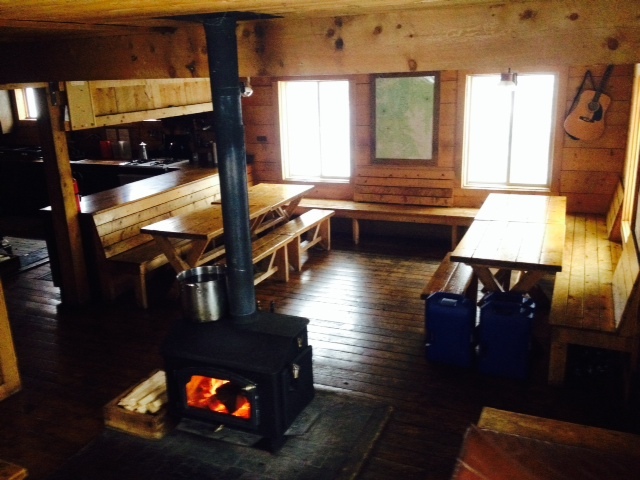 Polar Star Inn is a privately owned backcountry lodge, booked by 10th Mountain. Polar Star Inn is a tall-standing structure with a big deck that looks west over the Colorado Plateau: a sunset watcher's paradise. 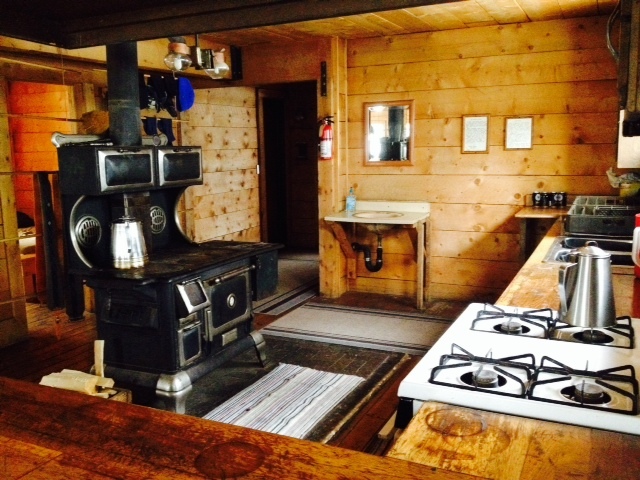 There are six private bedrooms and running water (summer & winter) that makes kitchen work a snap. The Inn was built in 1987. 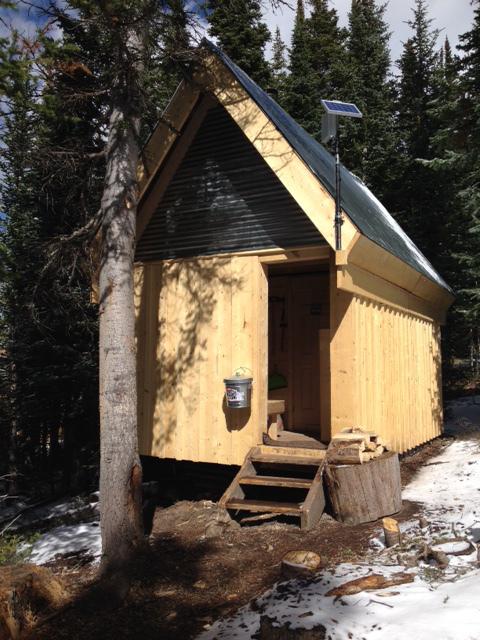 It is located just below timberline at 11,040' on the west side of New York Mountain, in central Colorado. 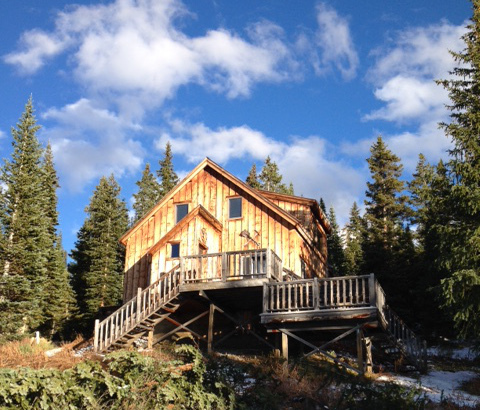 It offers access to excellent skiing on New York Mountain, which rises just above the hut. 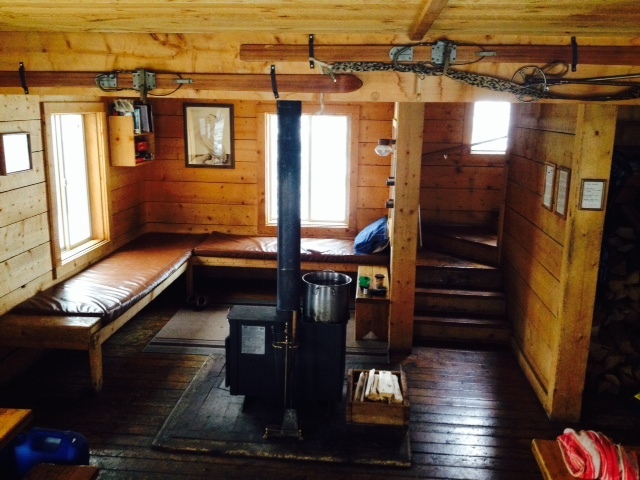 Right next door is the Seipel Hut, it is booked separately but often used in conjunction with the Polar Star Inn for larger parties needing additional capacity. Layout and capacity: Downstairs: 1 bedroom with a 2 bunk beds, 1 bedroom with a double bed. Upstairs: 4 single beds in a communal sleeping area, 2 bedrooms that each have a double bed, 1 bedroom with a double bed and a single bed, 1 bedroom with 2 double beds. Capacity 19. 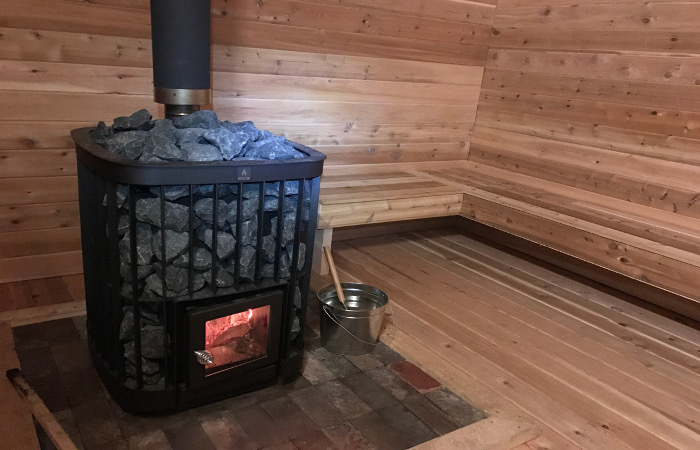 Additional Amenities:The Polar Star Inn has running water from a spring-fed cistern during the summer & winter, a sauna for relaxing and a propane grill out on the deck. There is also a large firepit as well. The most common route into the Polar Star Inn follows the Fulford Road from Yeoman Park, and then heads up from Nolan Creek. You can also avoid the snowmobile traffic on the road to the Nolan Creek turnoff, by taking the Newcomer Spring Trail which joins this route at Nolan Creek. Route finding can be tricky on either trail due to old abandoned roads and jeep trails so keep your map and compass handy and watch for the blue diamonds marking the trails. *Please Note: The Fulford Road is closed seasonally from Nov 23rd until May 20th every year at the Yeoman Park trailhead. Wheeled vehicles are strictly prohibited past Yeoman Park during this time regardless of snow levels or road condition. Please obey all posted signs regarding road closures and restrictions. 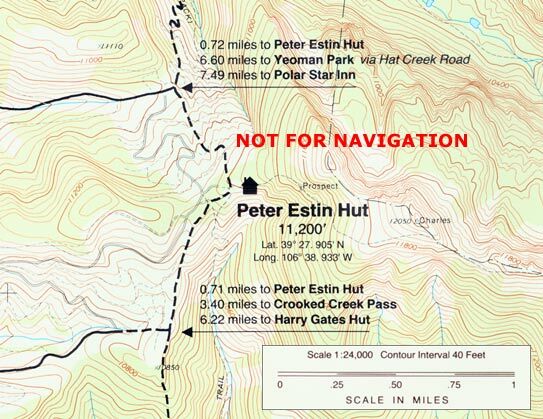 The other route in to Polar Star leaves from West Lake Creek south of Edwards, and is about an hour less driving to the trailhead for visitors coming from the east. This route is less traveled and passes through a wilderness area so route finding can be more challenging, though we made significant trail improvements in the summer of 2016. This trail is also longer and gains more elevation than the routes from Yeoman Park so it is best attempted by more experienced backcountry travelers. During the summer the most common acces to Polar Star is driving up the Fulford Road to the summer closure gate approximately 1/4 mile from the hut. If you prefer to hike in then the Newcomer Spring Trail is the most commonly used trail access. Hiking in from West Lake Creek is also possible during the summer and there have been some recent improvements to this trail, but route finding challenges still exist on this lightly traveled route. Vehicle access is never guaranteed to any hut at any time. 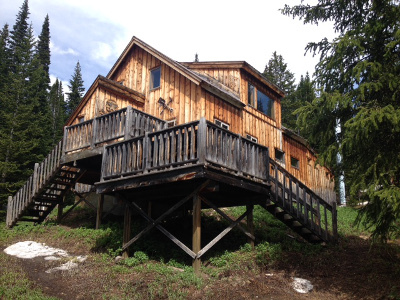 For hiking at Polar Star Inn you can head up to the top of New York Peak from the hut or pick up the Nolan Lakes trail for a beautiful hike into a high alpine basin.